The Rhode Island Builders Association, established in 1945, is a progressive, not-for-profit organization addressing the housing needs of the community. Enhance a cooperative relationship between government, the community, and ourselves. Includes among its members home builders, remodelers, lenders, suppliers, real-estate professionals and others whose work is related to the industry. Works to improve the professionalism, technical skills and job safety of its member companies through educational programs. Tuition for classes and seminars is FREE for members and their employees. Strives to improve consumer protection by educating the public about how to find and work with professional contractors. Is the united voice of the housing industry to Rhode Island’s lawmakers, regulators and the public. Provides essential day-to-day services for members, such as construction documents and an in-house full service insurance agency, Builders Insurance Group (BIG). Offers social programs that provide enjoyable and networking opportunities for members. Is one of the nation’s largest local trade associations serving residential builders and remodelers doing business in America’s smallest state. 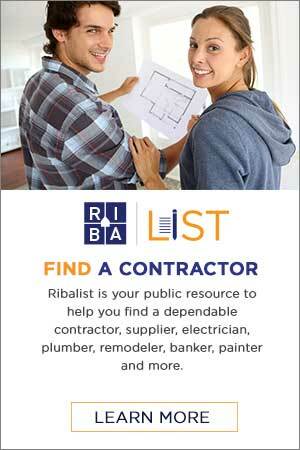 Is affiliated with the National Association of Home Builders (NAHB).